We used Incorporate.com and LegalZoom to form real LLCs, then compared their features. In this Incorporate vs. LegalZoom review, we’ll let you know if either is worth your time and money. We also recommend checking out our list of the top 5 LLC formation services. Choosing a service that will help you start and operate your own business can be nerve-racking. That’s why we’ve presented three questions that will simplify the process and help you make an informed decision. While its services are expensive, Incorporate.com stands out with world-class customer service. Available across three channels - chat, phone, and email - help isn't hard to find when you need it. Incorporate also bundles helpful features like operating agreements and EIN registration, enhancing the value of premium packages. 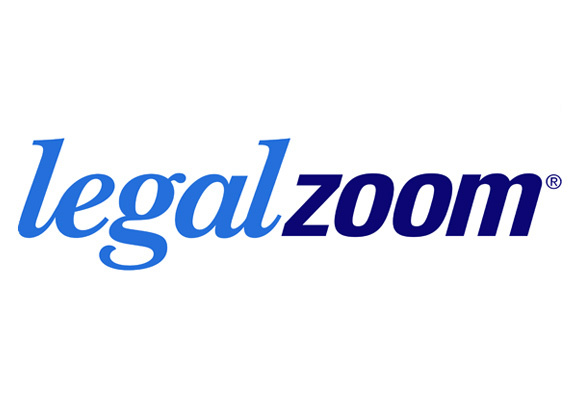 LegalZoom offers similar features, but only as a la carte upgrades, reducing their value. Who Uses Incorporate and LegalZoom? Both services are used by those who need help forming their businesses--including LLCs, incorporations, and nonprofits. Incorporate and LegalZoom would be right for you if you enjoy working with more established brands and don’t mind paying extra for premium services. The chat representative we worked with was able to answer our questions without any additional hold time. We weren’t redirected to call in or upsold on more expensive services. Getting an operating agreement and EIN is expensive with either company. Another thing to consider is how each company organizes their pricing tiers for extra features. Legalzoom does not include these features at any price point, and adding both will add $159 to your order, even with premium packages. Incorporate.com does add both features to their premium packages, though it will cost $179 to add them to their Starter package. However, you can also join How to Start an LLC’s Business Center for a free operating agreement builder tool, and learn how you can get a free EIN through the IRS. Both services are easy to use and have efficient checkout times. In total, the buying process for Incorporate took about 10 minutes after adding in the time to read each upsell offer description. LegalZoom’s entire order process should take no longer than 15-20 minutes. In case you are unable to complete an order in one sitting, LegalZoom emails a link to your saved answers, giving you the option of completing your order at a later time. Incorporate’s registered agent service is expensive ($235), and contrary to their website’s warning, we decided to act as our own registered service, which they say can delay an order up to six weeks. Ours was processed by the State and in-hand within 2 weeks, this delivery time may vary for you, but opting out of this service is a good way to save money. Many other registered agent services are much less expensive, such as Incfile, who includes a year of registered agent service for free with their $49 package. Both companies are some of the most expensive in the industry. If you would like to have LegalZoom or Incorporate.com create your LLC, operating agreement, and obtain your EIN within a two-business week timeframe, you will end up paying a few hundred dollars. With less expensive options like Incfile ($49 + State fees) out there, it’s hard to say these are the most cost-effective solutions. However, both companies share the name-brand advantage that some are willing to pay extra for. Still, Incorporate.com is as well-rounded as any formation service you’ll find, so they have the advantage here. If trust is an important factor, they are a worthy choice, but keep in mind there are better alternatives available if you are willing to do a little extra leg work. Legalzoom and Incorporate.com can do more than simply register your LLC. They each offer additional services, either included in their formation packages or sold separate. Here is a comparison of what each company offers at each package level.